It's Day 14 of Thrifty Nifty Mommy Blogger Network's Strolling Into Spring Event and we are helping to get the germs away while you are strolling with your little one(s). We're Parents!? 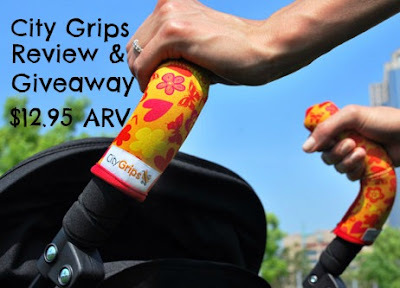 has teamed up with City Grips to bring you bring you these awesome stroller handlebar grip covers. Keep yourself protected from dirt buildup, safeguard your stroller from wear and tear & much more. Read our full review & enter our giveaway to win your own RIGHT HERE.